This is the next Bowie-inspired card - remember this classic song - Golden Years (it also played a role in a Heath Ledger film - A Knight's Tale)? 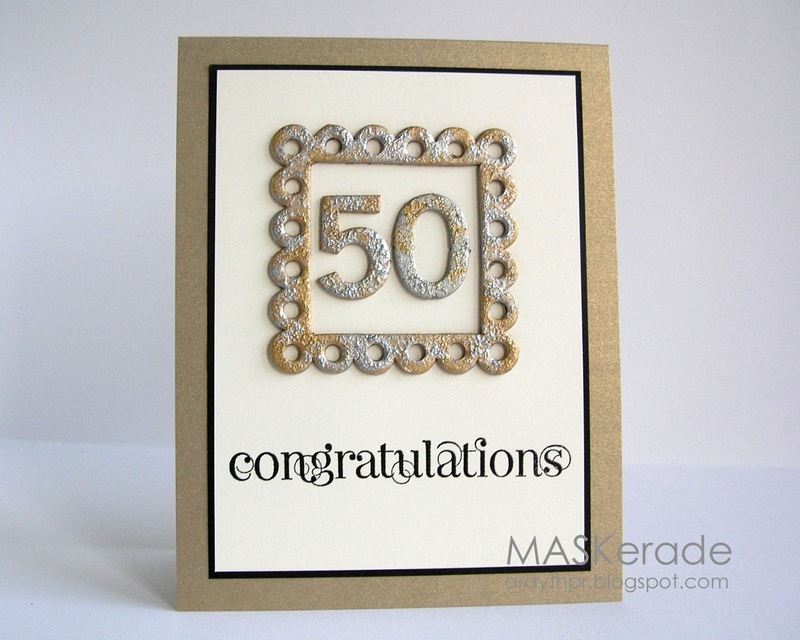 This card is for my aunt and uncle, who are celebrating 50 years of marriage next month. I used some chipboard and acrylic paint daubers to make the frame and numbers, a Stampin' Up! sentiment, brushed gold, basic black and Very Vanilla cardstock. Fabulous...love that gorgeous frame and happy 50th to your aunt and uncle! Beautiful! Love the font on the sentiment. The congrats font is marvelous! Love the gold shimmer paper.The frame and numbers look amazing! They are going to love this card. ... 50 years! Wow! Congratulations to the happy couple! 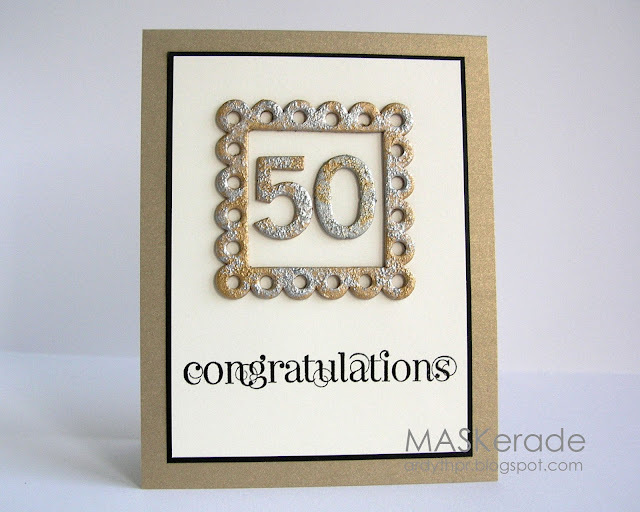 Gorgeous card Ardyth - WOW 50 years is some achievement!! !